Oh man! 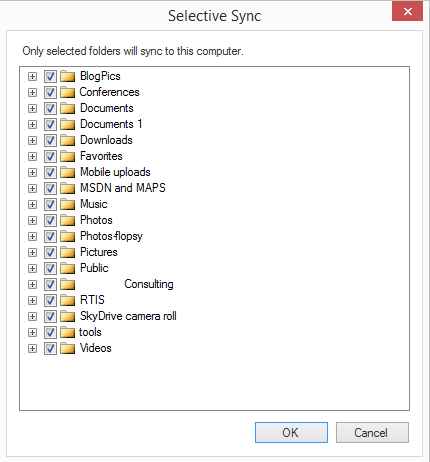 Are you tired of this giant screw-up with OneDrive (formerly known as SkyDrive)? I’m tired of wasting my time with MS and reading their non-solutions. When I found syncDriver referenced in the link above, I decided this might be the fix I’m looking for. It’s small, it’s simple…and it’s an application…not a part of the operating system! I installed it, fired it up, told it where to sync the files (c:\users\rwright\onedrive) in a folder I provisioned myself, and it was off to the races! Look! It has a user interface! It actually tells you what’s going on! Cool…options! Exactly what you would expect. And…oh boy…wait for this! 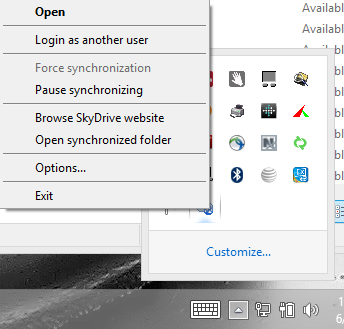 You can choose the folders you want to sync! 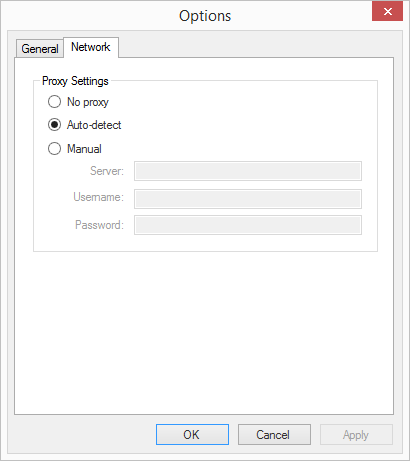 Need some proxy-ing to get in/out of your environment? Thar it is! Look, it’s in your tray…because it is…wait for it…an application! And look-ee here. It’s got a right-click menu…just like a reel application! 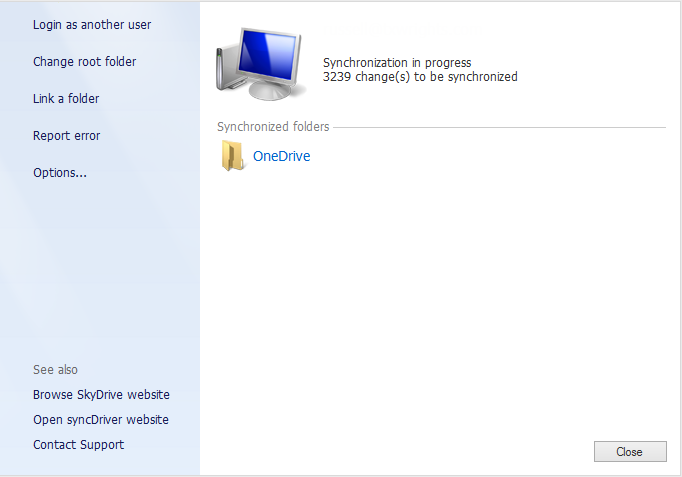 syncDriver is operating well and I have moved all my documents from my “broken” SkyDrive folder in my old user profile to my new OneDrive, powered by syncDriver, folder in my new user profile. I used WinDiff to compare the two directories to validate I wasn’t missing anything…except for those in the old SkyDrive folder that hadn’t been kept up-to-date. 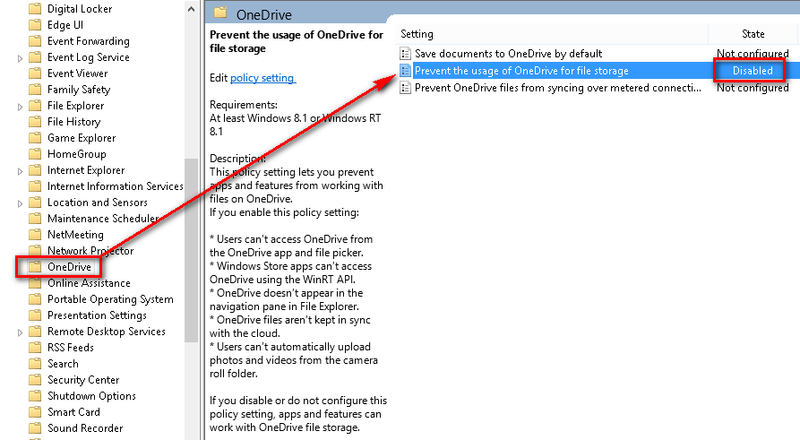 Okay, now to turn off the original OneDrive sync completely refer to this article. Basically you are editing this registry setting. Well, my OneDrive has been broken on my Yoga for several months and I just got to looking at it. syncDriver could not log into my OneDrive account. However, my OneDrive account and my credentials were just fine. 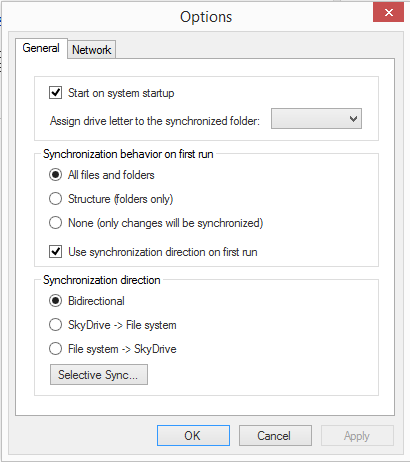 I was getting an error, “Your IT department made a change that prevents you form syncing your personal OneDrive on this computer” when I viewed the OneDrive settings. I uninstalled syncDriver, thinking I was going to get rid of it and try to go back to the MS OneDrive sync, but then found there’s a group policy that might be causing the problem. In gpedit.msc (Group Policy editor) find this: Local Computer Policy | Computer Configuration | Administrative Templates | Windows Components | OneDrive | Prevent the usage of OneDrive for file storage. The default for me was Not Configured. 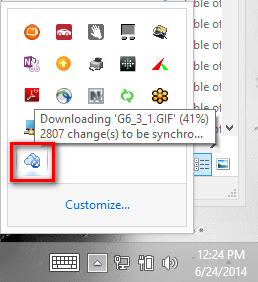 I changed it to Disabled and that appears to have made OneDrive available again. I re-installed syncDriver and it immediately started syncing once again. Yay! This entry was posted on June 24, 2014 at 6:00 pm	and is filed under Computer Software. You can follow any responses to this entry through the RSS 2.0 feed. You can leave a response, or trackback from your own site.